A Chrysanthemum Herbal Tea Blend. What is inside. 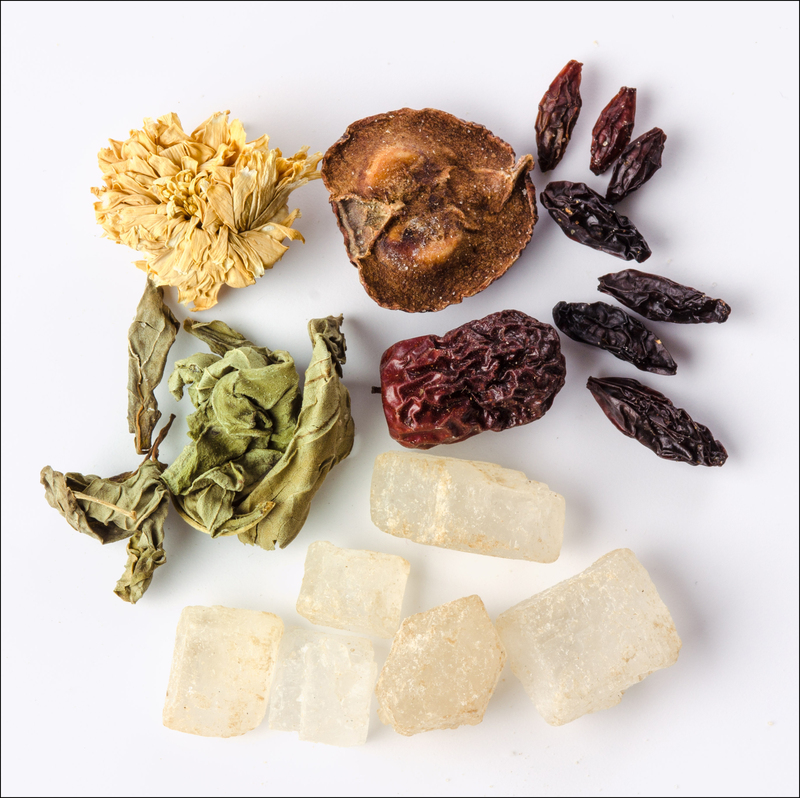 Herbal tea blends are very popular in China, Taiwan and Hong Kong. The packages are usually transparent to observe the components and may contain ten or more small packages inside. These blends may or not contain tea. Seeds, fruits, leaves, flowers and rock sugar are very common. The packages are very attractive, colorful and are for short term storage; the tea blends must be used freshly for the best flavor and aroma. The teas can be enjoyed hot or cold. The use of rock sugar (solid sugar) has the advantage of the slow dissolution; on the beginning the tea is not so sweet and will get sweeter as is being enjoyed. When refills of water are made the rock sugar continues to dissolve and tea continues to be sweet for longer time.This eliminates the need of keep adding sugar in each refill. The color of the rock sugar varies from transparent to dark brown, depending on the amount of refining.